I am raising this fund for my 10-year-old nephew Vardaan whose life turned upside down with a deadly cancer. It all started 10 days before Vardaan’s school examination in the month of February this year. A fever that we thought was harmless, turned out to be the biggest nightmare of our life. The doctors told us that it is Leukemia, a type of Blood Cancer and to be sure they need to perform a Bone Marrow Test. We were so baffled upon hearing the news that we brought him back home without letting them conduct the tests. We thought how can he possibly have a disease so big and not have symptoms of the same. After a lot of online research we finally decided to get Vardaan's treated from a doctor in Mumbai. Changing cities did not change his disease but it assured us that he is in the best hands for his treatment. Vardaan’s treatment will last for another 3.5 years which will require whopping Rs. 15 lakh. 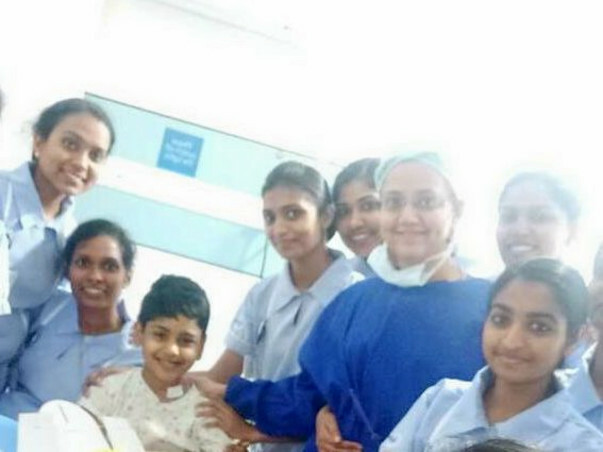 Currently his treatment is going on in "Kokilaben Dhirubhai Ambani Hospital, Andheri Mumbai". Until now family has spent Rs. 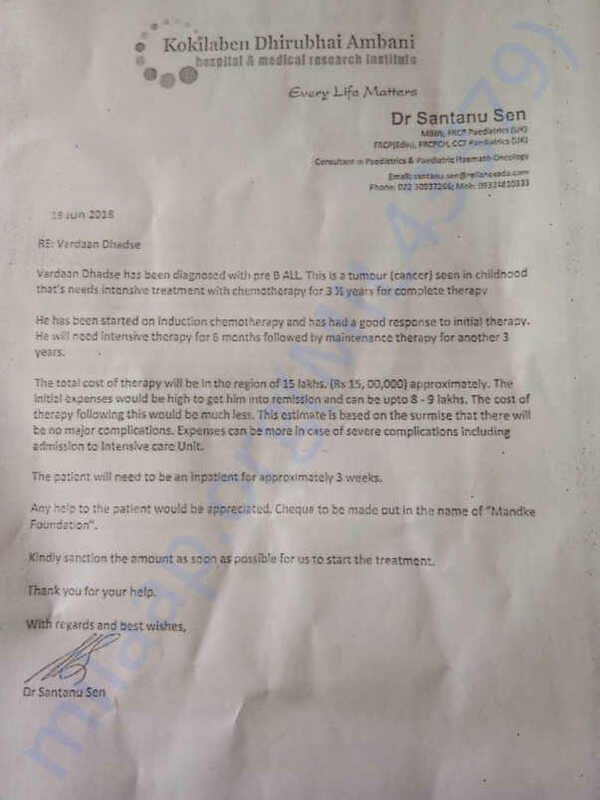 15 lakh for his treatment. And the struggle they went through to collect that amount of money was the most difficult. From selling their jewellery to taking loans from relatives They have exhausted every possible alternative that one can think of. There is nothing left to sell now and no door left for them to knock on for help. Vardaan misses his school and his friends the most. I request all of you to help me take Vardaan home healthy so that he can resume his schooling and live a normal life.